Throughout your career search, you will (hopefully) have the opportunity to showcase your candidacy in multiple job interviews. Considering it takes an average of seven interviews to win one job offer, it’s imperative that your performance is exceptional enough to propel you to the next level. How can you best present your strengths during an interview to earn a call-back? Let’s concentrate on three key ways you can present your strengths effectively during an interview. 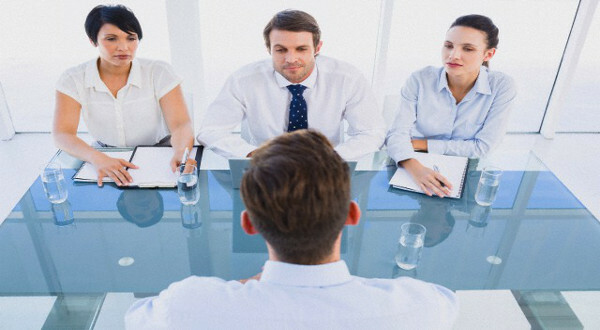 Scope of experience: Give the interviewer a succinct overview of the breadth and depth of your work history. Career brand: Describe your career brand in a few sentences. The key is to focus attention on the elements of your background that make your candidacy stand out. Leadership style: If you are applying for management or executive roles, make sure you briefly describe your leadership style. If you are not, focus on your communication style instead. In either case, give the interviewer the opportunity to see you through the eyes of those you’ve worked with in the past. Personality: Select 1 to 2 exceedingly well-though-out adjectives to describe your personality. Pedigree credentials: Have you worked for industry-leading firms or completed sought-after specializations? Have you earned a degree from a well-respected institution? These kinds of credentials are part of your brand and deserve to be highlighted early in the interview. History of impacts: A critical part of your brand is the sum total of the impacts you’ve had on employers you’ve worked with throughout your career. If you’re in sales, for example, it might be the total amount of sales you’ve generated career-long. If you’re in an executive role, it may be the total revenue you’ve influenced and/or the total cost savings you’ve generated career-long. Complimentary template: Take a look at this “Tell me about yourself” template I recently published on my blog. You might want to bookmark it for future use. Sharing these kinds of big picture details early in the interview helps make sure that you have conveyed the most important elements of your candidacy early on. It also helps “seed” the interview with things you would like the interviewer to ask you more about, which in essence allows you to gently guide them toward key facets of your brand. The most popular form of questions asked by recruiters and employers these days call for a storytelling response. Known as behavior-based interviewing, this style of questioning asks you to prove your capabilities by describing past examples. When writing resumes and other career communications tools, career management professionals refer to these stories by an acronym such as PAR/CAR, which stands for problem, situation or challenge | actions | results. The idea is simple: Prove your skill by telling your listeners about a problem you faced on the job, describing how you resolved it, and noting the specific quantifiable results you achieved. The smart job seeker will prepare six to eight success stories in this format and practice relating each one to different questions. For example, a success story about your turnaround of a team could be used to document your leadership, change management, and strategic planning strengths by emphasizing different aspects of your actions or results. Comb through each phrase and sentence of your resume to ensure you are prepared to answer any and all questions raised by interviews. Expand on the bulleted achievements noted in your resume by crafting verbal versions of them to share in your job interview. Include journalistic details in your interview success stories by telling your listener what you did, how you did it, why it was necessary, when you did it, and who you did it for/with. A great way to showcase your strengths in an interview is to share a PowerPoint or other slideshow that highlights your experience, brand, and value in eight to ten slides. By leveraging charts, graphs, diagrams, and succinct facts you can prove your prospective value to the interviewer in ways that will set your candidacy apart from other job seekers. Prove the match between you and the job at hand by summarizing their needs and the qualifications they seek with your strengths and experience. Keep your bullets and text crisp and to-the-point. Say more with fewer words. Use color to highlight your message rather than detract from it. If you’re interviewing with a group of people, see if you can arrange to present your slideshow during your interview. If that’s not possible or you’re being interviewed by one person, it’s fine to offer slide handouts instead – just make sure you still present your slides verbally so you can stress the points you think are most critical to drive home. As you can see, there are myriad ways a job seeker can highlight their strengths during an interview. With a little reflection and a bit of preparation time, you can sell your strengths via polish, proof, and practice. By A 15-time, award-winning resume writer, Cheryl Lynch Simpson serves mid-career to senior executives as a credentialed resume writer (ACRW), LinkedIn strategist (COPNS), and Get Clear, Get Found, Get Hired (G3) coach. Like her advice? Check out her website,ExecutiveResumeRescue.com for a complimentary copy of her popular Polish Your Profile LinkedIn presentation, or follow her on Twitter!